About: Hypothermia is a serious medical condition where your cat’s body temperature is too low. Causes: It may occur when the cat is unable to maintain heat due to external temperatures or when the cat is unable to regulate temperature as a result of illness or medications. Symptoms: Shivering, cold skin, lethargy, drowsiness, slow breathing and decreased heart rate. Treatment: This depends on the severity of the condition. For mild cases, your cat will be put in a warm room and heated with blankets, severe hypothermia needs to be treated with internal warming by circulating warm fluids. Hypothermia or subnormal body temperature is a serious medical condition caused by the cat’s body temperature becoming too low. The normal internal temperature in cats is 100 – 102.5F. In response to cold, the cat will shiver, this increases the body’s metabolism and generates heat. Fur acts as a great insulator against cold too, as a result, cats are less likely to suffer from hypothermia than humans are. Hypothermia may be primary or secondary. 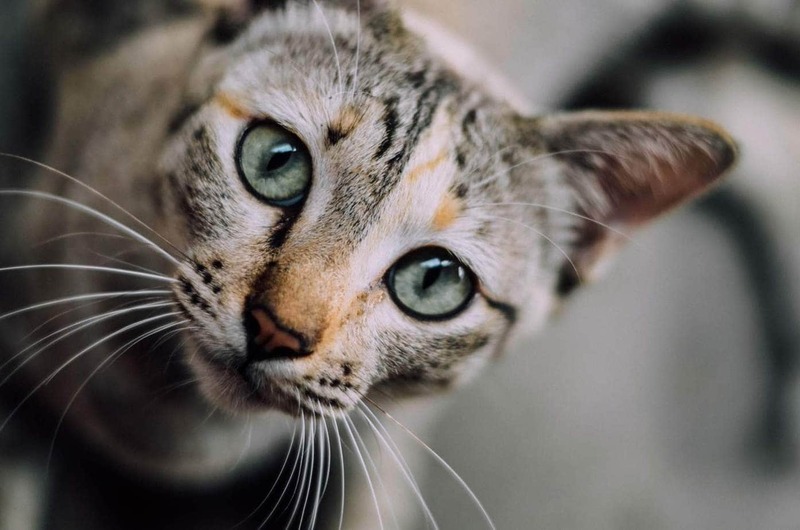 Primary hypothermia: The cat’s heat mechanisms are working but the body is unable to maintain heat due to exposure to cold temperatures, this is compounded if the cat is wet. Secondary hypothermia: The cat’s heat mechanisms are not working properly due to illness, injury or certain drugs (anesthesia) or toxins, tea tree oil toxicosis (severe alcohol intoxication is a known cause of hypothermia in people). Sepsis (blood infection), kidney disease, liver disease and inability to regulate body temperature in young kittens and elderly cats can all cause secondary hypothermia. Diagnosis is based on presenting symptoms, a history of exposure or medications and reading of your cat’s rectal temperature. If your cat is outdoors, bring him inside immediately. The goal is to warm your cat up slowly. Hypothermia is classified as mild, moderate or severe. If the cat is alert, raise the body temperature with blankets and towels (passive surface rewarming) in a warm room. Warming blankets in the clothes dryer for a few minutes may also be helpful. Apply heat packs or soda bottles filled with warm water to the head, neck, armpits and groin areas (active surface rewarming). When applying a heat source (heat packs, warm bottles etc., always cover in towels or blankets to prevent burns). If the cat’s fur is wet, gently dry it with a hairdryer set to low and held 12 inches away from the cat. Monitor your cat’s body temperature every 10 minutes with a rectal thermometer. Once the body temperature has reached 99F offer your cat some warmed food and drink. While you are warming the cat, have somebody phone your veterinarian for further help, what may appear as a mild case of hypothermia may, in fact, be moderate or severe, so it is always best to seek your veterinarian’s help. These cases of hypothermia will require IMMEDIATE veterinary attention. On the way to the veterinarian cover your cat with a warm blanket and keep the heater on in the car. The veterinarian will warm the cat from the inside out (active core warming). This procedure is carried out by circulating warm fluids to the body cavities, warmed intravenous fluids, ventilation with heated air or oxygen, intravenous fluids and oxygen. If there is no heartbeat, pulse or respiration your veterinarian will need to administer CPR. Your veterinarian will closely monitor your cat’s vital signs including blood pressure and the heart. Keep your cat inside during winter, or if your cat does go outside, provide shelter from the cold and the wet as well as insulated beds. Keep these off the ground. Older cats and young kittens are more susceptible to hypothermia, so if you have an older cat who has been living outside, encourage him to spend more time indoors, especially during the colder months.